Ohio District 12 Town Hall – With or Without Tiberi! Our ACA Town Hall event is this Wednesday, February 22, and it’s going to be quite the event! Congressman Tiberi was invited, but so far he has not given us any indication that he plans to attend–despite the fact that more than 1,700 of his constituents have signed a petition demanding that he do just that. Our event will have speakers from the medical profession, as well as those who would be affected by the repeal of the ACA. There will be an opportunity for you to ask questions, take action, and have your voices heard. Tickets and Too Many People: There is a strong possibility that we will have more people show up for the Town Hall than we can accommodate in the sanctuary. We hope to have a video stream into overflow areas, but that is not a sure thing at this point. We’re also making plans to hold a parallel meeting outside. So, even though you have “tickets” from your EventBrite RSVP, you may not be able to get in. That sounds like a bummer but it’s really not: if so many people show up that we can’t accommodate them, that just reinforces our point that WE CARE about the ACA and are mad that our congressman won’t hold a town hall to listen to our concerns. It wasn’t our plan, but we’ll roll with it and use it to show Tiberi what a big mistake he is making. If you end up in an overflow area or outside, that’s OK! We will still have an opportunity for you to share your stories, take actions, and express your frustration with Congressman Tiberi. You can attend the mini-health clinic (see below), write postcards to Congress, tweet, and be interviewed about your story. We will also have speakers visit the crowd outside. We are also having the event professionally recorded, so you can watch the stage events later. So, please don’t be upset! Be cool! Everyone showing up is important. Come early for our Mini-Clinic, starting at 6 pm! Because we care about your health and want to emphasize the importance of preventative care, there will be volunteer doctors and nurses on site to provide mini health screenings, screen for diabetes, and answer your health-related questions. We hope our commitment to the health and well-being of District 12 shows that our fight for the Affordable Care Act is not a political issue, but a human one. 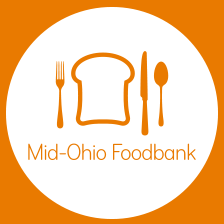 Healthy Donations: We will also be accepting donations to help improve the health of all District 12 residents, through gathering personal care supplies for the Mid-Ohio Foodbank. Examples of needed items include diapers, vitamins, toothbrushes, toothpaste, shampoo, bar soap, body wash, deodorant, tampons, and pads. Thank you for your generosity! What to bring: Your questions and your ACA stories; signs if you like (without wooden handles); postcards if you have them–although we will also have some there. Carpooling and Parking! The parking lot will fill up at the church. Please carpool or take the bus. Also remember you can park in the lot at the back of the church, which you access by turning into the road between the Panera and the Chipotle off of High Street. The church is at the very back of that lot. We are also looking into nearby lots for overflow parking; please check our FB page for updates. Childcare (for potty-trained age and up) will be available on a first-come, first-served basis. Please donate what you can to help cover the costs.